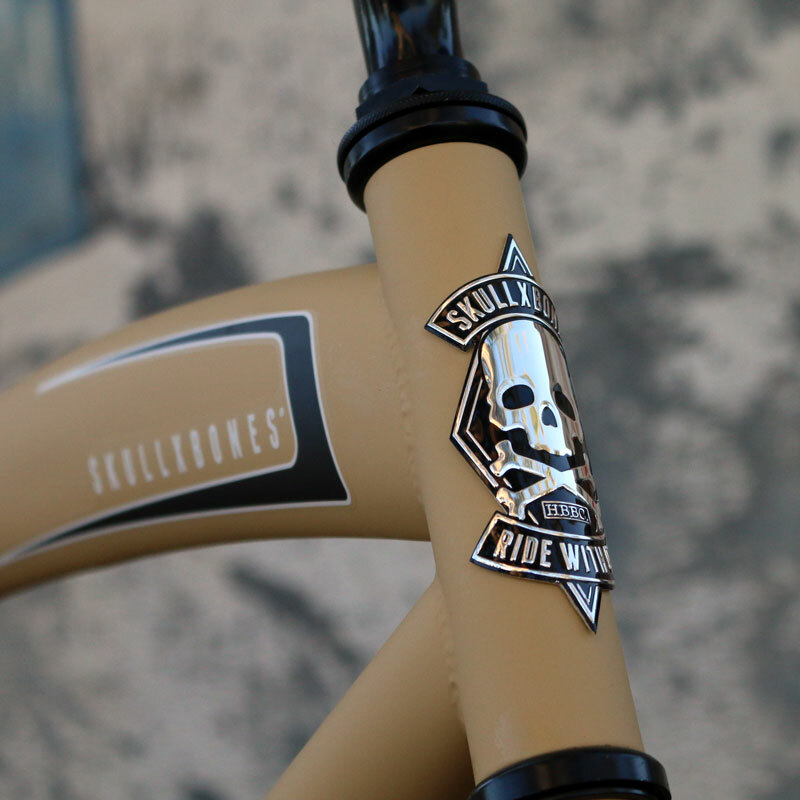 SKULLXBONES MEN’S – FLAT TAN – Huntington Beach Bicycle Company, Inc. 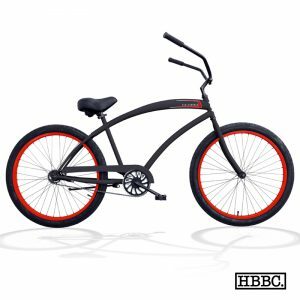 The SKULLXBONES ® mens cruiser features the SKULLXBONES ® custom frame rolling on 26” aluminum wheels with black stainless spokes all wrapped in our slick ride cruiser tires. 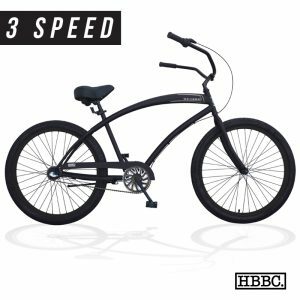 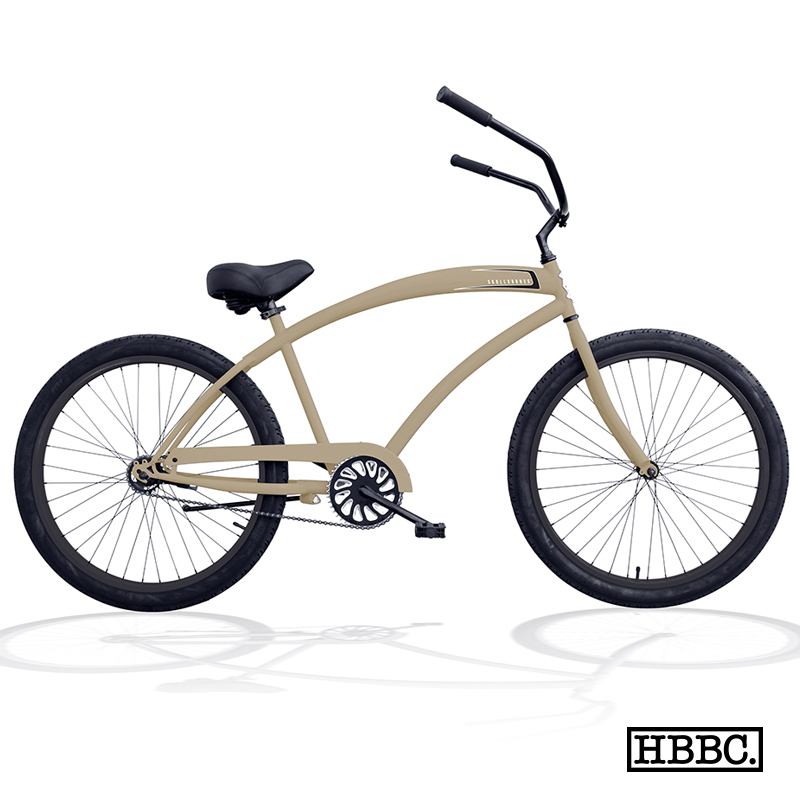 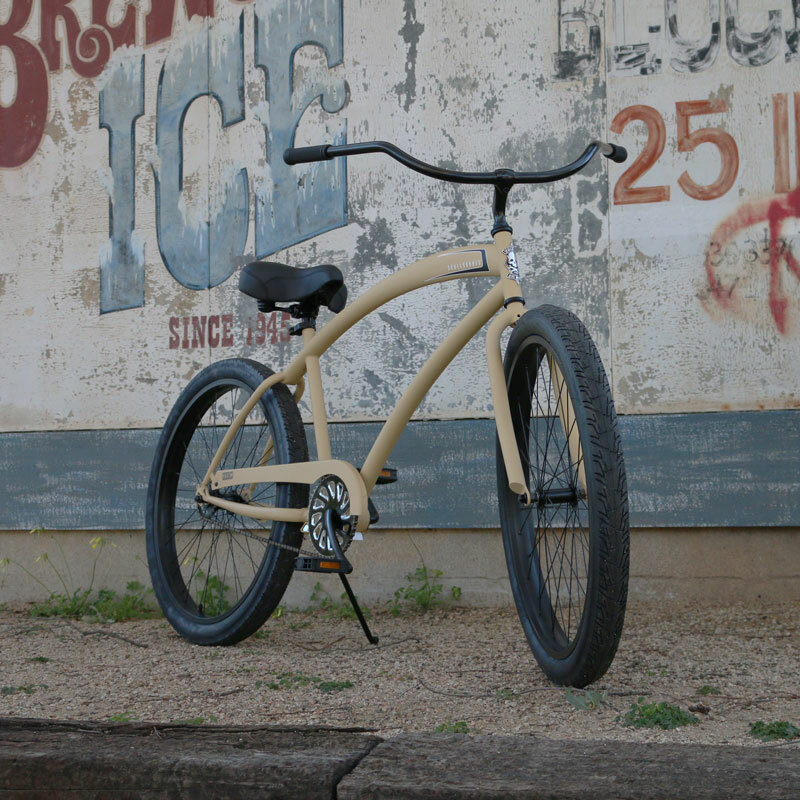 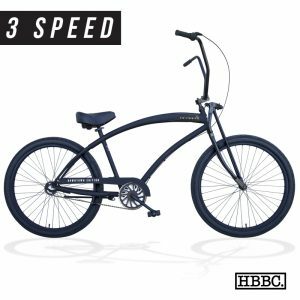 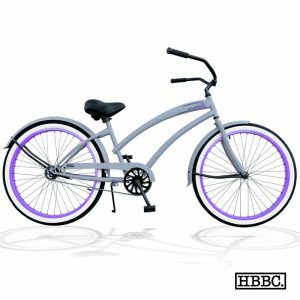 This single speed coaster brake beach cruiser features removable decals and comes complete with deluxe built-in kickstand, quick-release seat clamp and a gel comfort quiet-ride seat to insure you are cruising comfortably HBBC… Style. 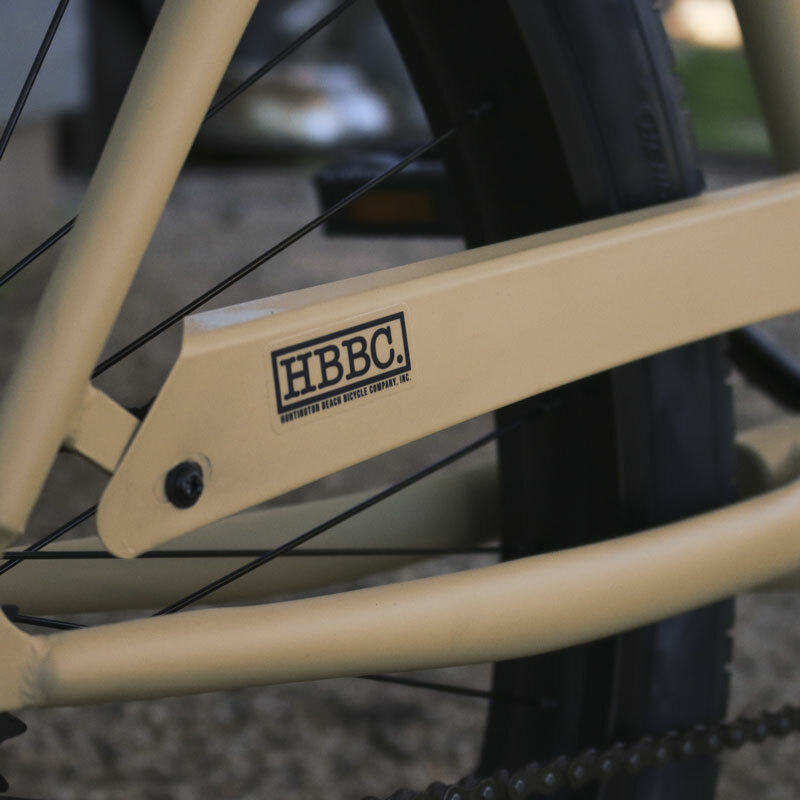 Quality. 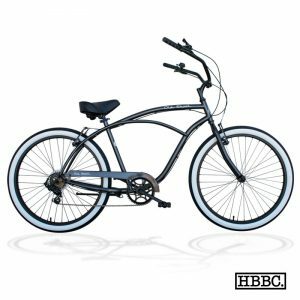 Value… Ride With Us! !